Twenty Sims. Black and White Cubes. Five Days. Over 25 virtual artists have joined the ranks of The Cube Project, curated by Bryn Oh, to create a 20-sim exhibit in just 5 days. What's the theme? 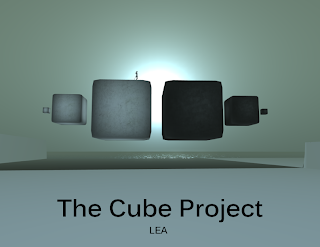 Artists can only use two distinct virtual objects: a black cube, and a white cube. Black and white might sound so monochromatic, or the cube geometry a bit basic, but actually these parameters provide a unifying theme which could otherwise turn this galactic art project into complete chaos. Several rapid-build group projects in the past have invited artists to add their piece, in a controlled area - so the result has been a sort of controlled chaos. In this case, the sheer size of the canvas (20 sims) allows virtual space to be a more dramatic component, and the monochromatic palette coupled with a 5 day deadline proves fertile ground for unleashed creativity. A sense of positive energy, delight, and even humor in some cases, has taken shape throughout the sims. Artists who usually dig deep for their artistic vision, suddenly let loose without reservation - and the varying degrees to which they do this, provide a rich and versatile composition across 20 regions. The Cube Project opens August 22, and closes September 1st, and includes work by Bryn Oh, Cajska Carlsson, Charlotte Bartlett,ColeMarie Soleil, Dancoyote Antonelli, Giovanna Cerise, Haveit Neox, Kicca Igaly, L1Aura Loire, London Junkers, Maya Paris, Misprint Thursday, Nessuno Myoo, Oberon Onmura, PatriciaAnne Daviau, Pol Jarvinen, Rag Randt,Rebeca Bashly, Rowan Derryth, Sea Mizin, Secret Rage, Solkide Auer, Remington Aries, Solo Mornington, Tony Resident, Werner Kurosawa and Xineohp Guisse. 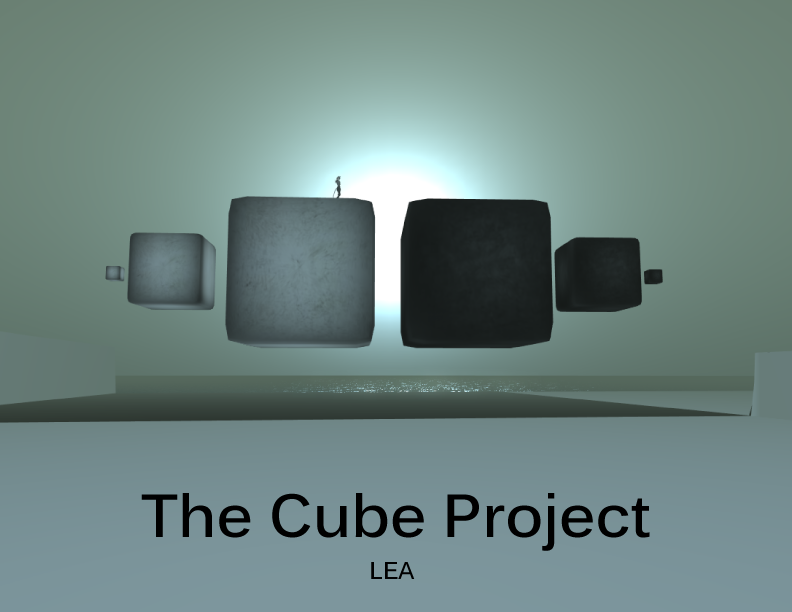 I wanted to let you know that I really enjoyed visiting the Cube Project. As there are too many artists to thank individually, I'll say thank you here. I've posted a review in my travel blog @ www.ragelog.org encouraging people to visit. Cheers.